When I say "automotive," I use that as an all-inclusive term bringing in motorcycles, mini-bikes, lawn mowers, and pretty much anything else derived from the field of mechanical engineering. This section of the CodeCooker site is a place to keep photographs of my various projects and some kind of record of their progress. My interest is this area goes back to the 1950s where some of my earliest memories where watching, and later, helping my dad work on the family cars. We were primarily an Oldsmobile family but I do remember a Chevy truck, an old Ford, and '53 MGTD, pictured to the left in a family photo from August 1964. Other family members were also car crazy, especially one uncle who had a very nice 1959 El Camino and an early 60s Austin-Healey 3000. This uncle also raced go karts and motorcycles. My first car was a hand-me-down 1962 Oldsmobile Dynamic 88 which my dad sold to me, cheap, in 1970. It was one huge piece of iron. I had that for a year or so during which I expanded my skill set doing some light body work and even replacing a cracked torque convertor in its automatic transmission. 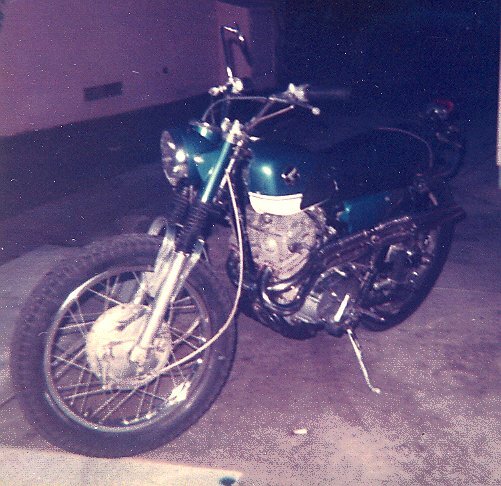 It was also around that time I acquired my first motorcycle, a 1966 Honda 305 Scrambler. I loved that bike. Again, it gave me all kinds of opportunities to learn about motorcycle maintenance. The only big problem I ever had with that bike was on a trip up the California coast. Somewhere just south of Santa Maria I burned a hole in one of the pistons. My sister and friend came and pick me (and a friend and his bike) up and I had that fixed withing a couple of days. 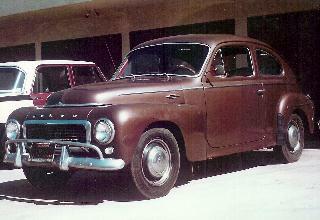 Wanting to move from a family car to a cool ride, I sold the Oldsmobile and bought a 1956 Ford F-100 pick up. How cool was that? It had the stock 292 V-8 and a 3-speed on the column. It was painted a sort of very dark purple and looked great with the chrome reverse rims and baby moons. I had a set of Goodyear L60-15s on the back. Well, all good things had to come to an end and a draft notice in the end of 1972 necessitated getting rid of both the bike and the truck. About a year later I found myself stationed in upstate New York. There was much to do and see and I needed a car so I bought a 1970 Ford Maverick from a friend. I drove that car all over the eastern U.S. and, eventually, out to California where it waited for me while I was stationed in Germany. 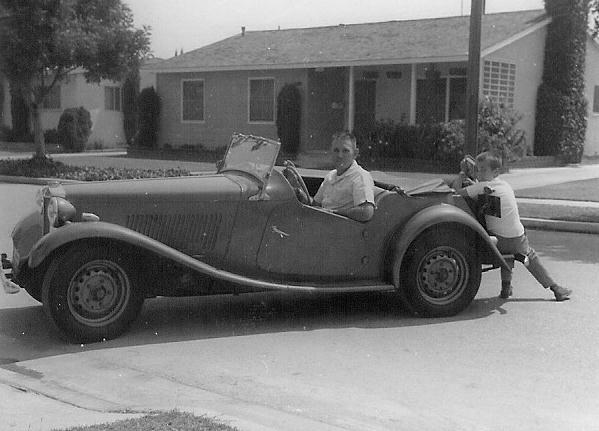 I kept that car until 1980 or so when I sold it to my dad. I didn't need a car since I had a company truck and was encourage by my employer to use it as my personal vehicle. 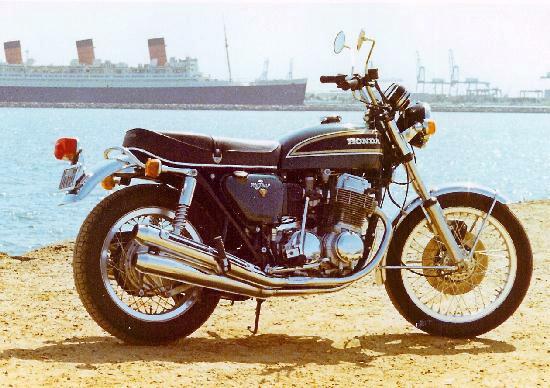 In 1976 (I think) I bought my 1976 Honda CB750 motorcycle from a friend. I was at once at one with a machine. I virtually lived on that bike, putting over 50,000 miles on it over then 8-10 years. I took numerous trips up and down the California coast, an awesome trip around North America, and a great ride up to British Columbia and Alberta. If the weather was good, I rode that bike. It was not unusal to get up on a Saturday morning and do a day trip to Morro Bay or the Salton Sea. I lost count how many times I made runs to Palomar Mountain or Trabuco Canyon. It was on one trip to the Yosemite area that I blew the transmission in San Bernadino. I limped home, stuck in 3rd gear, and decided to rebuild the engine. I bought all the parts and then realized I sort of lacked the tools and knowledge I needed to do the job correctly. This coincided with the arrival of our first born and I decided I would stop riding and take up home restoration instead. So, the motorcycle sat, disassembled until the summer of 2012 when the restoration of it began. As of this writing, it is still a work in progress. More about it on its own page. In 1977 (I'm a bit fuzzy on the dates) I bought my first Volvo. I'd seen the British TV show, "The Saint" back in the 60s and lusted over the Volvo 1800 that Roger Moore drove in that series and always wanted one. 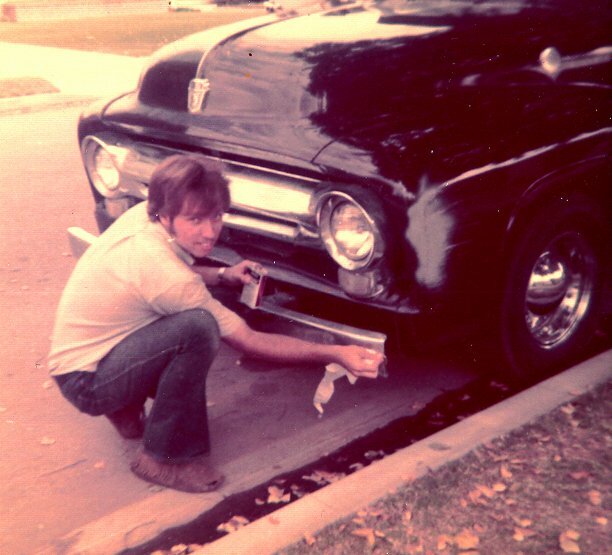 Well, in 1977 they were still out of my price range and I was sort of in the market for another cool ride, remembering the fun I had in my 1956 Ford truck. I was reading "Laurel's Kitchen" and in the extended introduction she mentioned that one of the things her friends had in common was a love of old Volvos. I looked up old Volvos (in the library) and saw the 444 and 544 series, the 122, and the ultimate "brick," the 140 series, as well as the 1800. Then, just by serendipity, I was motorcycling down the coast and in Sunset Beach I passed a 544 with a "For Sale" sign. I contacted the guy who was selling it for his girlfriend, we struck a deal and that was that. It's a 1959, B16 engine, 6-volt electrics, a brown Earl Sheib paint job over the original red, and a very tired interior. But what fun to drive. However, after a year or two, life's responsibilities provided me an excuse to park it and it sat until its resurrection in 2008. It's in better shape than ever, a daily driver, and another "in progress" project. More about it on its own page. It was in the summer of 2007 that my high school dream came true. 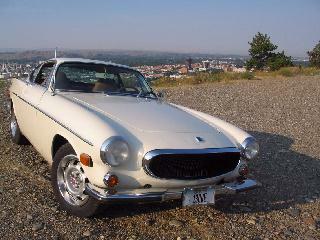 I acquired a 1972 Volvo 1800E, white, just like Roger Moore drove. It's not really a "project car," more a "survivor" that's been pretty well maintained. I'm probably the 5th owner and know a bit of the car's history since I know the two previous owners which dtaes it back about 20 years. I've done quite a bit of work on it of the catching-up-on-maintenance variety. It's is a very nice looking car and does turn heads when it's out and about. It has a page here. Our stable has seen a few cars added and only a few subtracted. We bought an '83 Volvo 240 wagon in the late-80s and it's still with us. I won a '91 Hyundai Scoupe in a raffle and that was my daily daily driver until I gave to my son. We have a '72 Ford F-250 truck that we bought back in the 80s and, as it has always been in the family, can't bring ourselves to sell it. Besides, one always needs a truck around to haul car parts. And there's the '99 Suburban which is a great ride for long trip. More recently we've added a 2007 Ford Focus which really belongs to the older son. We're caring for it until he needs it, which, as of this writing, looks like any day now.